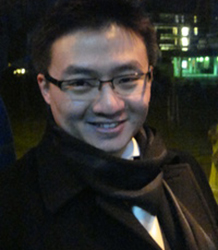 Zhiguang Yin received his PhD from the University of Cambridge in 2011. Before joining the University of Exeter, he worked as an assistant professor at Zayed University in the UAE. His research interest lies mainly in the area of Chinese modern intellectual and legal history, 19-20 century history of international relations, and contemporary Sino-Middle Eastern relations. With a strong curiosity of understanding the formation of our modern “world-view” and the historical logic of contemporary world order, he enjoys investigating the complex stories behind the international travel of different “-isms”. He has published intensively in these fields in both English and Chinese languages. His recent monograph Politics of Art: The Creation Society and the Practice of Theoretical Struggle in Revolutionary China takes on a different approach to the Creation Society, which was conventionally viewed as a subject of literary studies. This research, however, evaluates these intellectuals in the context of the Chinese revolution and elaborates their theoretical contribution to the Chinese Communist Party’s practice of “theoretical struggle” as a main driving force of ideological construction. As this study tries to demonstrate, theoretical struggle drives the ideological politics forward while maintaining its political vigour. His current research project investigates the Chinese foreign relations with the third world countries, especially the Middle Eastern countries during the 1950s and 60s. It intends to understand how Chinese internationalist vision was articulated through its interactions with the Third-World states and it was responded to by them. It also aims to show that the Chinese interpretation of the “three worlds thesis” (sange shijie lilun) is associated with the Chinese own revolutionary experience and the Chinese Communist Party’s understanding of “national question”, which differs significantly from both the Soviet reading of the same term and the American narrative of “national self-determination” coined by Woodrow Wilson. Besides academic engagement, he is also actively involved in public outreach. He is one of the management members of Consilium (经略), which began as an intellectual journal in 2011 and now has developed into a non-profit think tank for public policy in China. He is also a research fellow of The Centre for Studies in Politics and Law in Peking University.